Wedding is a onetime affair and every woman has countless dreams about her big day which she has cherished from her childhood. Every woman wants to look her best on her special day. Today makeup has become an important part of any bride’s appearance. Along with her jewelry and wedding trousseau, it plays an important part in how she looks. Good skincare and pre-bridal skincare play a very important part, but may become useless if the makeup is not done properly. Local MUA’s usually have less expertise and often apply wrong makeup, leaving the bride looking ghastly in person as well as pictures. 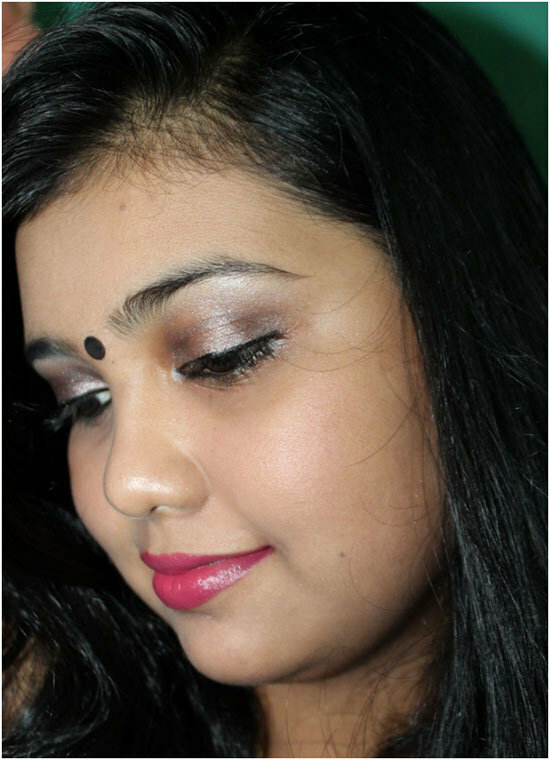 Today we have a very simple tutorial on how one may do her tamil wedding makeup. Tamil weddings are usually held during morning hours, so the bride cannot wear a lot of makeup. The makeup needs to be subtle yet provide definition to her facial features and skin tone. So here is one attempt at an appropriate tamil bride makeup look. If you have residual makeup on your skin then wash or cleanse your face. Apply a bit of moisturizer according to your skin type. Apply a bit of primer to the whole face. 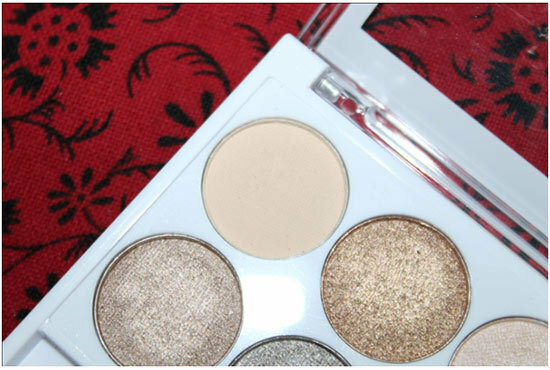 A primer helps in applying various types of makeup on the face and also keeps makeup for longer duration. Use a primer as per your skin type to help makeup stay better. If you have acne spots or places where concealing is required, then apply concealer and blend in using the ring finger or a brush. As the event is in the morning use a foundation which is light, provides medium coverage and does not have SPF. While SPF does help to keep the skin protected it’s a complete no-no in case you are going to be photographed with flash. Choose something which has no SPF and while purchasing, test if it is an exact match for your skin tone. Do not buy a lighter shade as it will only ruin your look and make you look whitish. Take some Foundation on the back of your hand and use your finger tips or a foundation brush to apply the foundation all over your face and neck. Blend the foundation into the hairline so that it looks natural and flawless. Now apply an eye primer to the lids or dab some concealer to the eye lids so that any discoloration is hidden and you get a uniform base to start with. 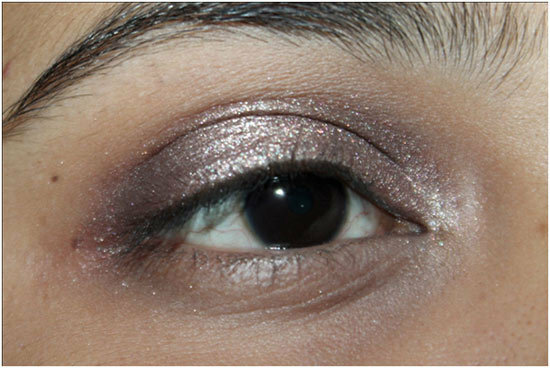 First apply a shimmery or matte pale color which quite resembles the skin tone. I used a shimmery one on the whole lid. Use a good eye brush to pat it onto the lid. Now apply a pale copper shade on the middle part of the eyelid and towards the outer corner and keep the shadow within the crease area. Use a blending brush to blend this shade with the previous one. 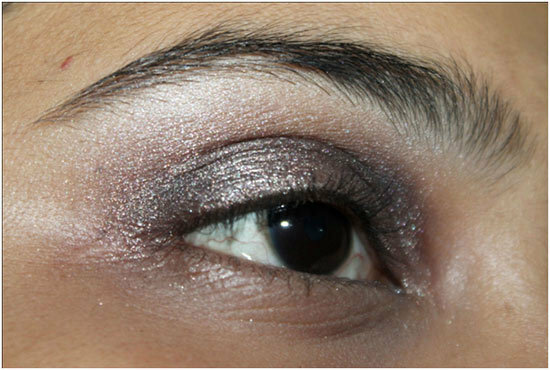 Now apply a dark brown shade (either matte/shimmery) on the outer area of the lid and sweep the shadow along the crease line. 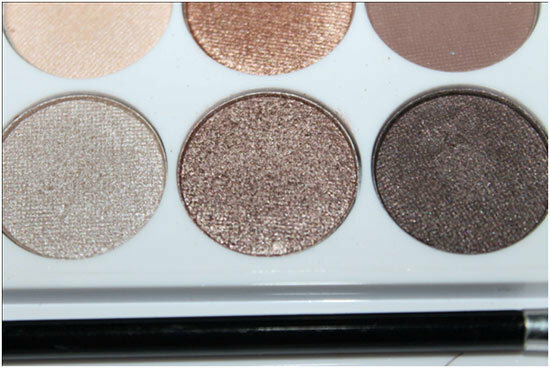 Use your fluffy blending brush to blend in the dark shadow into the crease and with the other two shades. Try to get rid of any harsh lines. 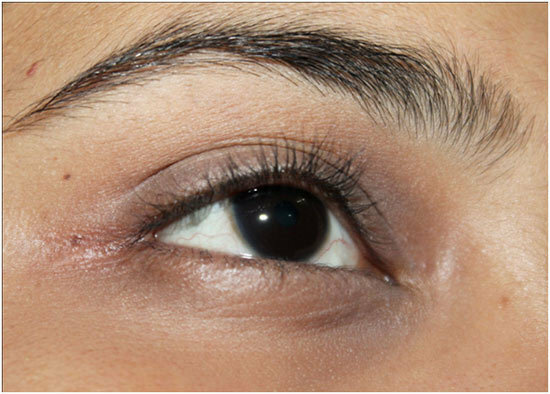 Apply a pale highlighting shade under the brow bone and blend it into the crease to get a complete eye makeup look. Apply eye liner and kajal. 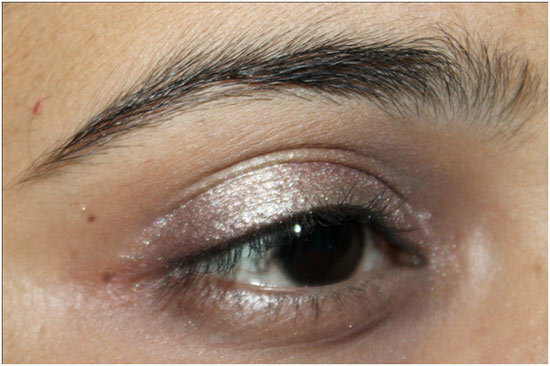 Apply a bit of the bronze shade along the lower lash line as well. Curl your lashes and use two coats of mascara. Wear some false lashes as well if you like. Now dust the under eye area for fallout and reapply concealer, if needed. Then apply a thin layer of loose powder on your face to set the foundation and concealer. Use a fluffy face brush to apply. Smile and apply a shimmery/matte peachy blush to your cheeks. You may also use a light pink shade if you want. Apply the shade with a blush brush on the apples of your cheeks and extend it towards the temple. Use smaller amounts and build up color as you need. 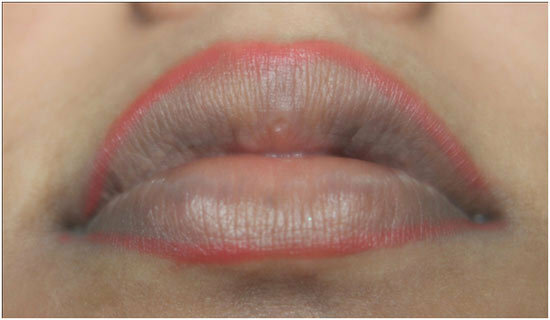 Use a lip liner to line your lips and fill them. I have used a dark pink as well as a muted orange shade to let you see how the eye look adapts to both colors. 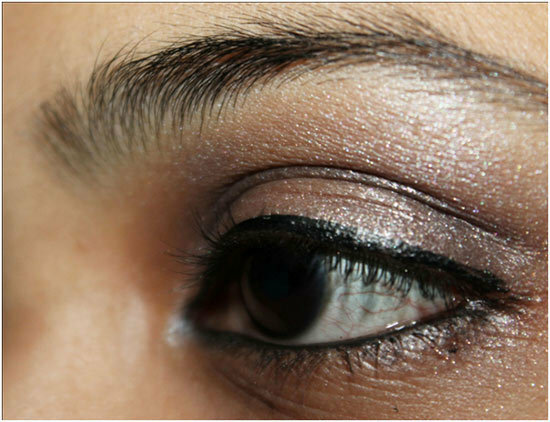 You may also go for red lips with this eye makeup. But as the occasion is a day event, these lip shades are great choices. Use a lip brush to apply. First apply a layer and blot using a tissue. Apply another layer over it. Add the bindi and jewelry and you are ready for the event. This look is easy to do as well as uses minimal makeup items so that one may do it without any problem and manipulate it according to her needs. Hope you enjoyed the article. Leave us your comments below.